Last week a part of our resources was busy at the International Oenological and Bottling Equipment Exhibition, Simei 2013 edition. The fair started on Tuesday 12th November and lasted till Saturday 16th November. 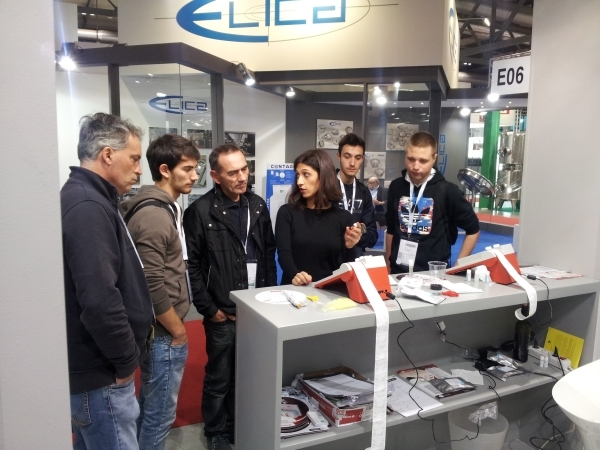 The show was in Milan, at the large exposition space of Rho Fiera and we brought here to be showcased the CDR WineLab® analysis system. 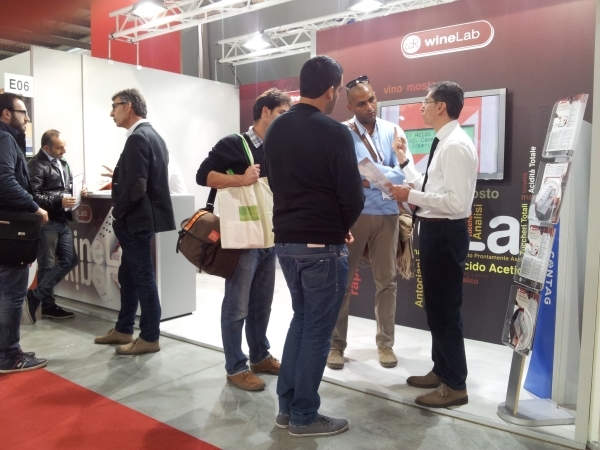 Simone Bellassai – CDR WineLab® Specialist, and Giulia Chiarion – Marketing Department, have been demonstrating the wine and must analysis system to the international visitors who stopped at the stand, located in the Pavillon 9, place E06. In the past days the system aroused a great interest in the audience present at Simei and many people could see the analytical method developed by CDR for fast, simple and reliable wine analysis. 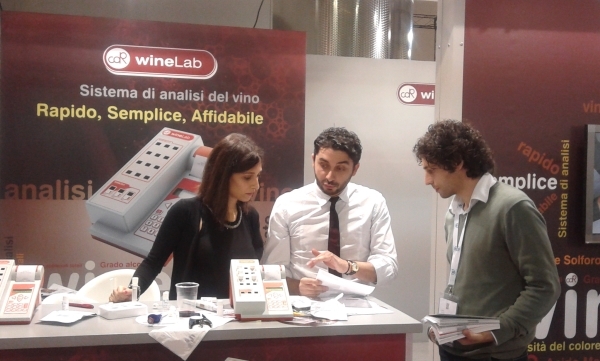 Furthermore at the show was presented the new multi-parametric function of CDR WineLab® that consent to perform 9 tests in 10 minutes and to obtain in this way the complete analytical profile of a wine. Easy, rapid and reliable – in the winery! 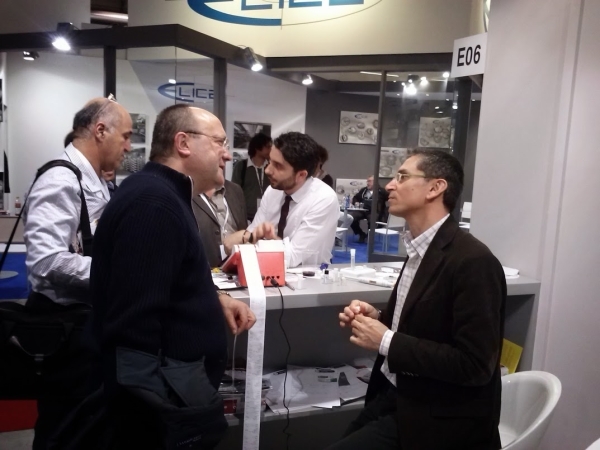 The activity of the CDR WineLab® stand during Simei 2013 in Milan was last modified: May 22nd, 2017 by CDR s.r.l.